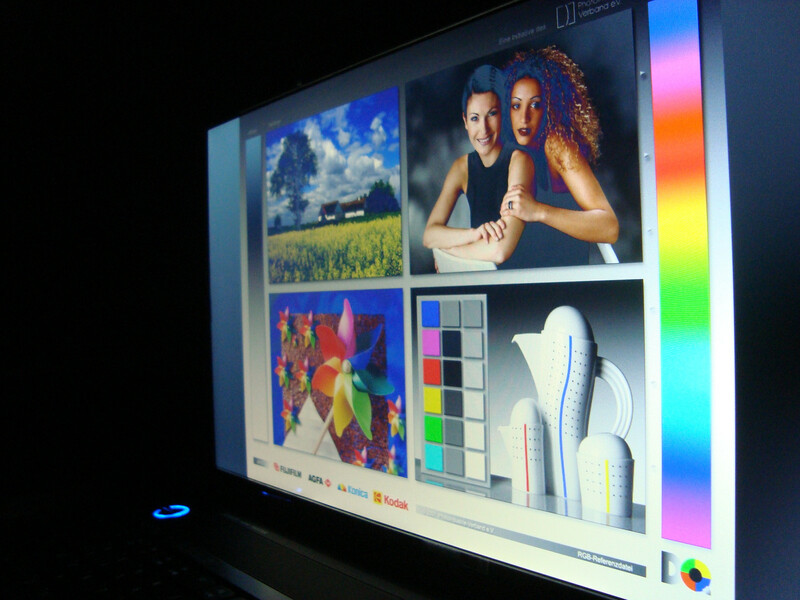 The Aspire 5740G-434G32Mn turns out to be a good entry into the world of multimedia laptops. The review sample came equipped with an Intel Core i5-430M processor along with four GB of RAM and a mobility Radeon HD 5470 HD by ATI. When you visit the Acer webpage, you'll find three configurations of the 5470G. The biggest difference is the size of the hard drive and the RAM. 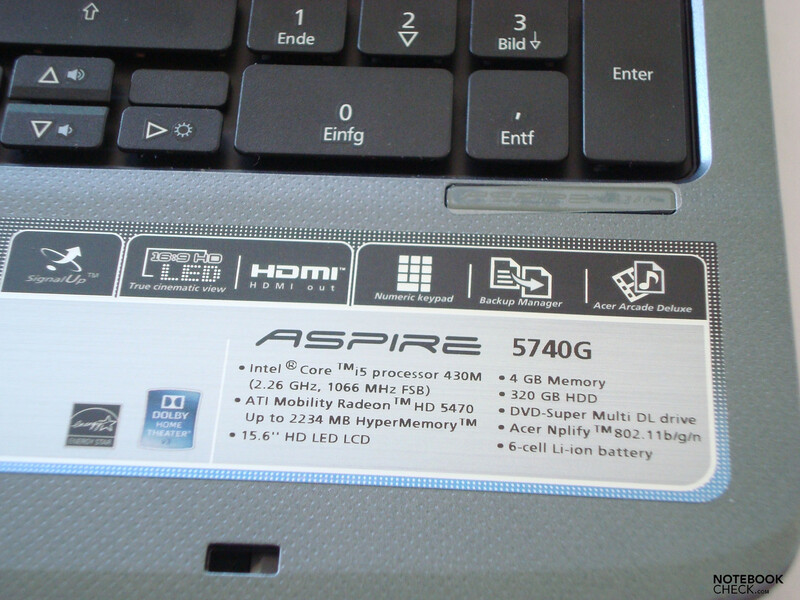 Our review deals with the Aspire 5740G-434G32Mn which is set up with a 320 GB hard drive and four GB of RAM. The 5740G-436G50Mn, the second possible configuration, comes with a 500 GB hard drive and six GB of RAM and adds Bluetooth 2.1 connectivity. 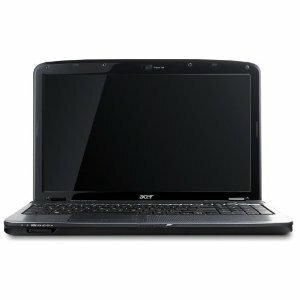 Last but not least, there is the 5740G-436G50Mn which is part of Acer's 5470D 3D series. 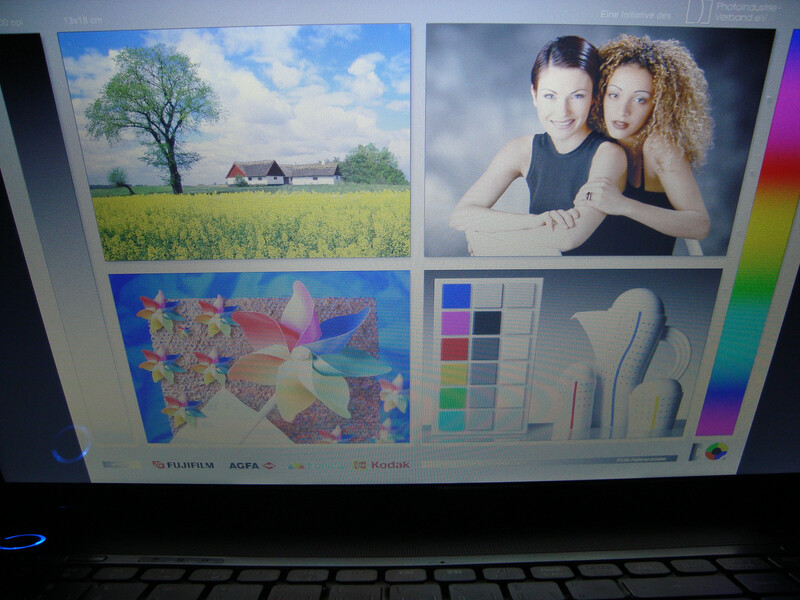 It sports what Acer calls a TriDef 3D screen. 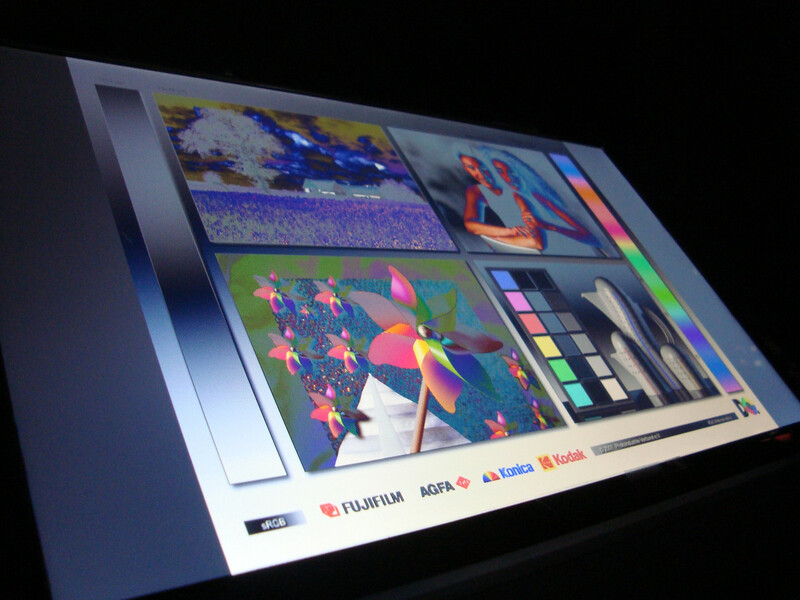 This means that the sceen was coated with a special 3D pixel coating. Acer claims that, using the required 3D prism glasses, effects akin a 3D digital cinema are possible. The case of the Aspire 5740G is made from plastic, which is nothing out of the ordinary in this price segment. It feels very robust and stable, though. There is the occasional creak when stressed with a single finger, but no visible marks are left behind. The only exception, however, is the back of the lid, which is a weak point in more affordable laptops. This is also true for the Aspire 5740G. Lifting the base unit at one end is no problem for the case, either. In terms of finish the Acer laptop seems alright. The construction elements of the case fit together nicely, leaving no big gaps between different parts. There are no sharp corners or edges. The 15.6 inch display is held in place by a simple locking mechanism which is situated in the middle of the front part. Moving the latch to the right releases the display, which can be opened easily. 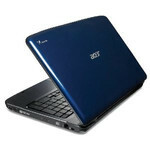 The design is typical of Acer's models: the Aspire 5740G sports predominantly blue colors. The review sample was dark blue and gray. 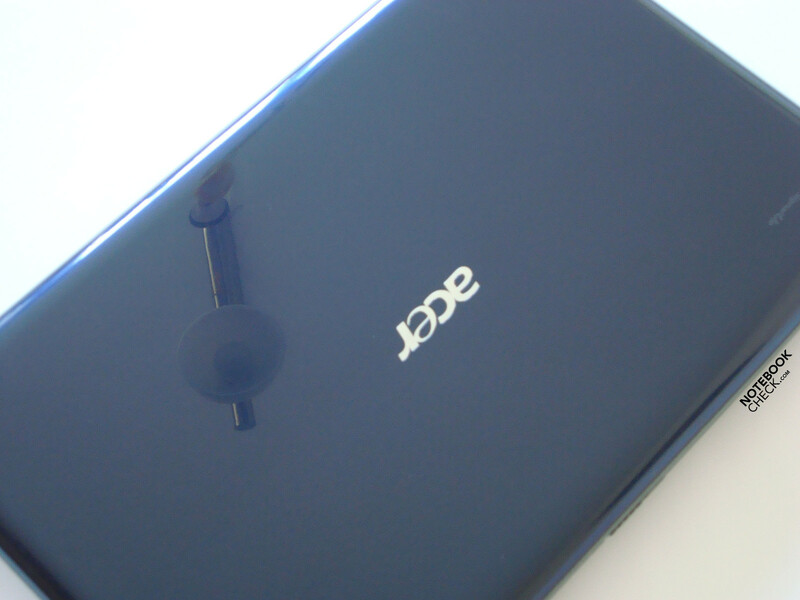 The lid is, except of the central Acer logo, dark blue with a high-gloss finish. The same is true for the screen bezel. Hence these areas are very prone to fingerprints and overall rather care intensive. The area around the keyboard and the palmrest are matte gray. The dark design of the Aspire 5740G is rather unobtrusive and conservative, thereby keeping it from sticking out too much in public. 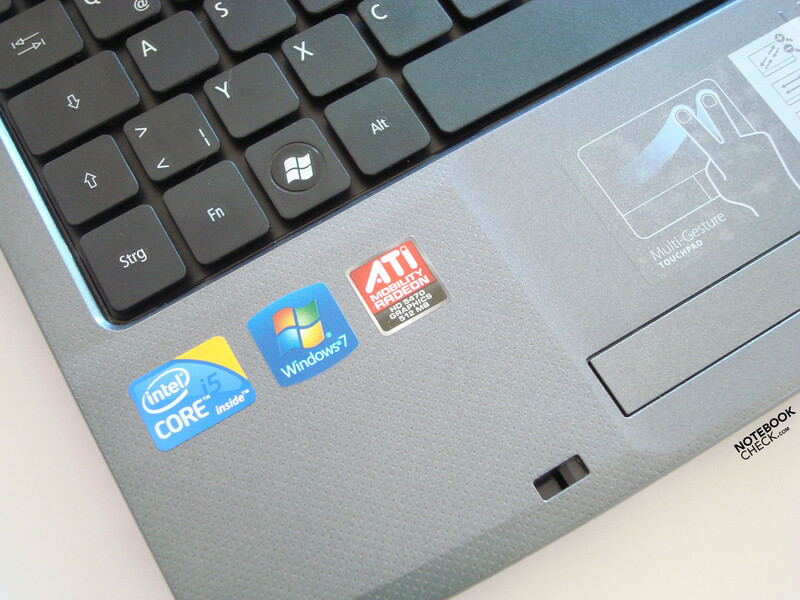 The Aspire 5740G holds all current interfaces required for a modern multimedia laptop. The connections are not distributed evenly on all four side, but are mainly concentrated mainly on the right and the left. Should all ports be used this might lead to disturbing cables especially left of the laptop. The left side holds the a/c connector, the LAN connector (Broadcom NetLink Gigabit Ethernet), the HDMI port, a standard VGA out, two USB 2.0 ports, a microphone and a SPD interface (S/PDIF). If you do not network wirelessly, at least the A/C and the LAN port are in use. In case you want to enjoy an HD movie on your TV set, the HDMI port will be occupied too. Connecting to the computer to your sound system too, you'll finally end up in a complete mess. An external monitor is the only thing missing now. In comparison, the right side looks very clean, almost empty. Only two USB 2.0 ports, the optical drive, the modem port (LSI HDA Modem) and the Kensington lock found their way here. At the front, there is a 5-in-1 card reader (SD, MMC, MS, MS PRO, xD). The back of the 5740G is void of connection ports and holds only the six cell battery. 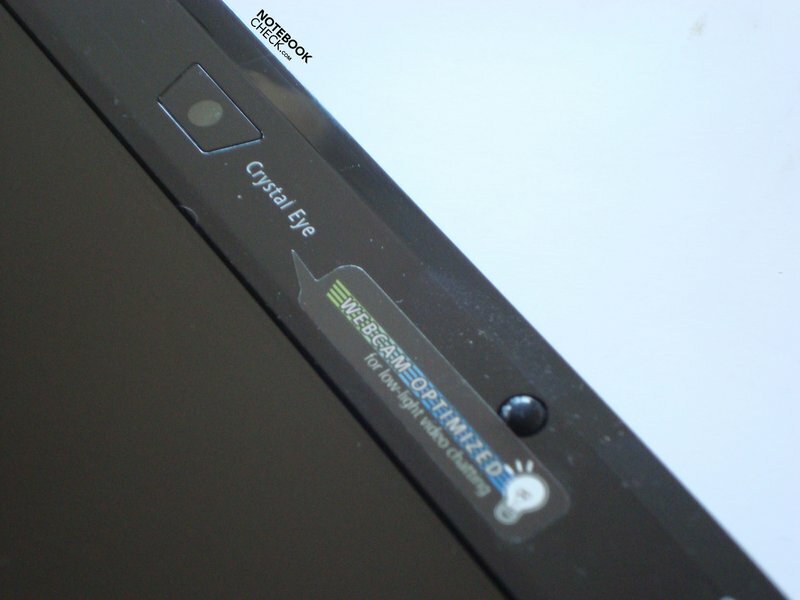 The display bezel houses the Crystal Eye webcam optimized for bad lighting conditions. Acer calls this "low light" optimized. 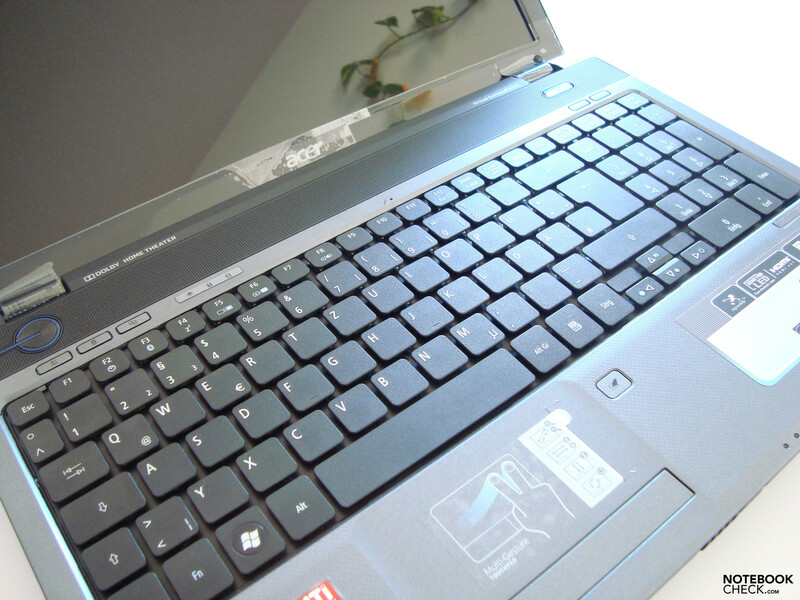 The accompanying Array microphone is placed in the middle right above the keyboard, more precisely: right above the F11 key. Accordingly, video chats pose no problem to our review sample. An Atheros AR5B93 wireless module is used for wireless connections. For those who wish to have Bluetooth 2.1, the only option would be to select an Aspire 5730G-436G50Mn instead. This model comes with six GB of RAM and a bigger hard drive. You can also opt for an Blu-Ray drive (4X Blu-ray Disc/DVD-Super Multi Double-Layer drive) instead of the 8X Super Multi Double-Layer drive. Acer has come up with something quite special for the keyboard and the mouse replacement. Except for the key labels, the keyboard is kept in a black finish. The rugged surface of the keyboard keeps fingerprints away. The layout feels right, too: every key is where it should be. In general the key size is alright, but, Fn and ESC key had to shrink, because of the available space. However, there is no impact on typing. The feedback is very direct and the keyboard is quiet, even when typing energetically. Aesthetically the keyboard pleasant, too. Between the keys, there is a gap of two milimeters. This should make typing easier. However, dust gathers quickly there. A full sized number block is aboard. 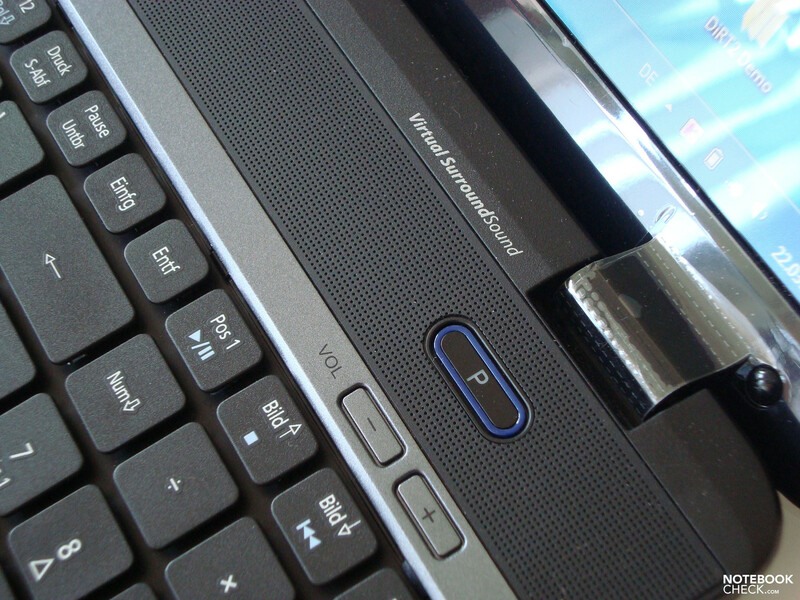 So, the touchpad is not centered, but has been moved a little to the left, directly in front of the space bar. You can switch the touchpad on and off by pressing the button next to it. Using an external mouse with the laptop, this feature is very handy. Acer has built a multi gesture touchpad into the 5740G similar to those used on modern smartphones like the iphone. This means the user can zoom into or out of pictures using only his thumb and index finger; a circular motion with two fingers rotates pictures. Scrolling through documents or web pages via gesture is possible, too. Leaving these gimmicks aside, the touchpad does a good job. 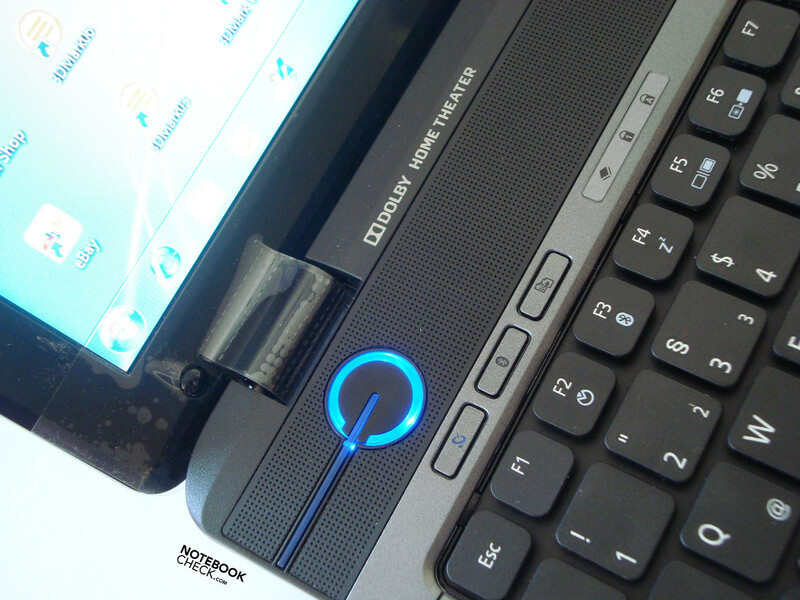 The mouse buttons are imitated by a strip of plastic below the touch sensitive pad. 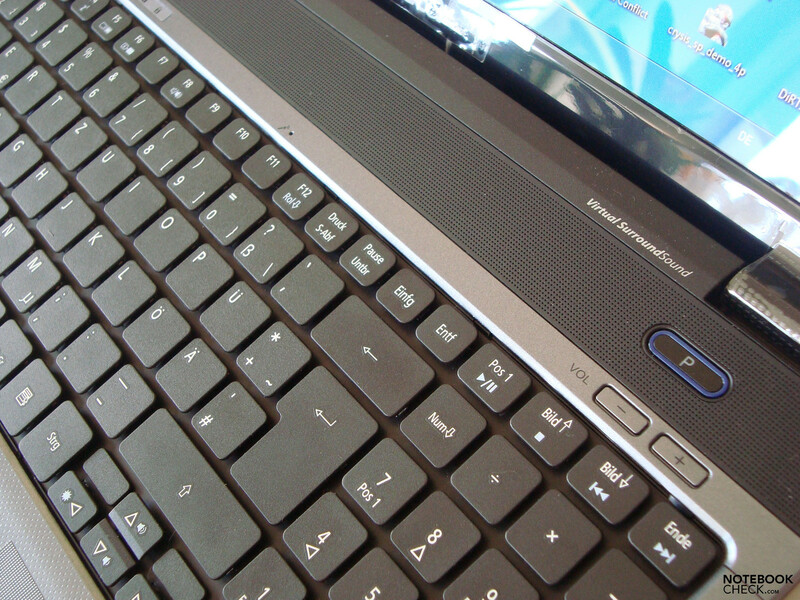 Above the keyboard there is a button labelled "P". This button can be associated with whatever the user likes. Right below this are two dedicated volume buttons. 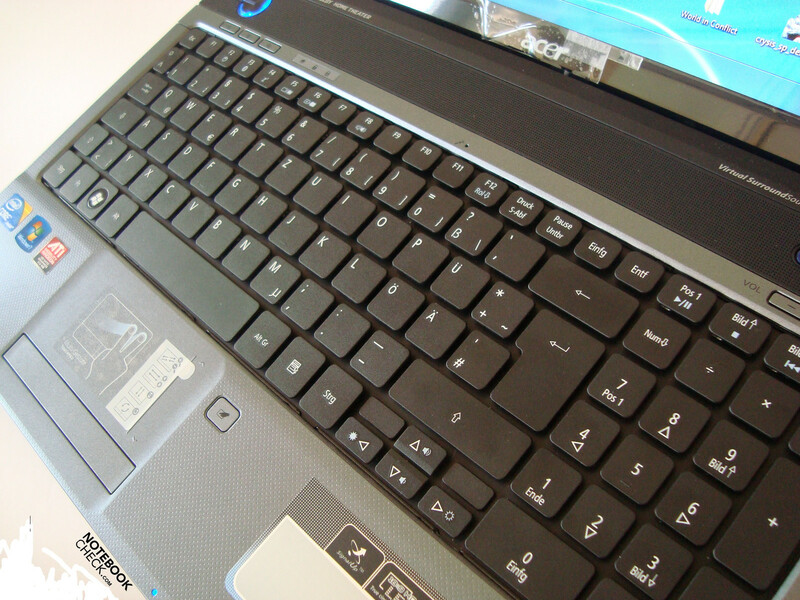 To the left of the keyboard there is the power button, which is illuminated with blue light. Below this are three other buttons: the first two for controlling WiFi and Bluetooth (not built-in in the test sample), and the third launches the Acer Backup Manager. The Acer spire 5470G comes with an Acer Cinecrystal TFT LC Screen with LED backlight. 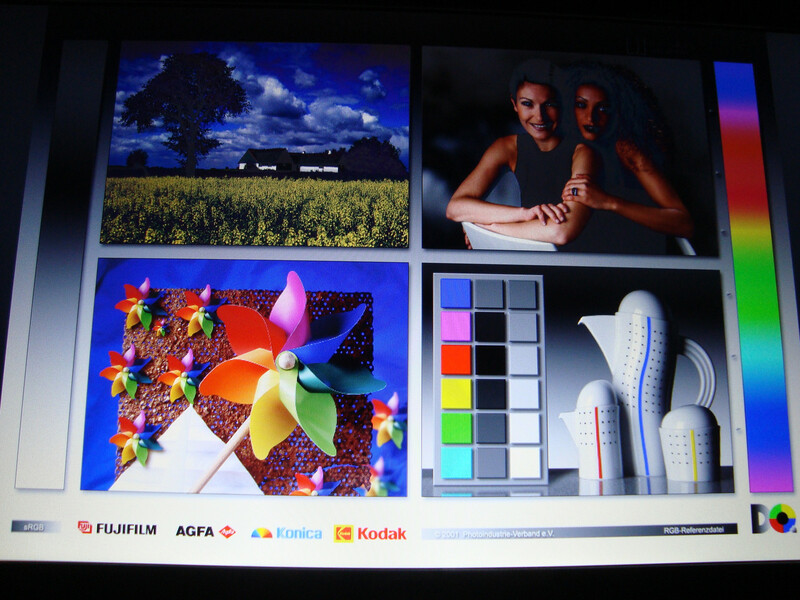 The maximum resolution, which Acer claims has a response time of eight milliseconds, of the 16:9 panel is 1366x768 pixels. The response time means the laptop is well capable of displaying faster games, given, of course, the integrated Mobility Radeon Hd 5470 supplies the frame rates per second necessary. But more about that later. Not only the hardware used has an influence on the quality of what you see on the screen, the display plays its part, too. 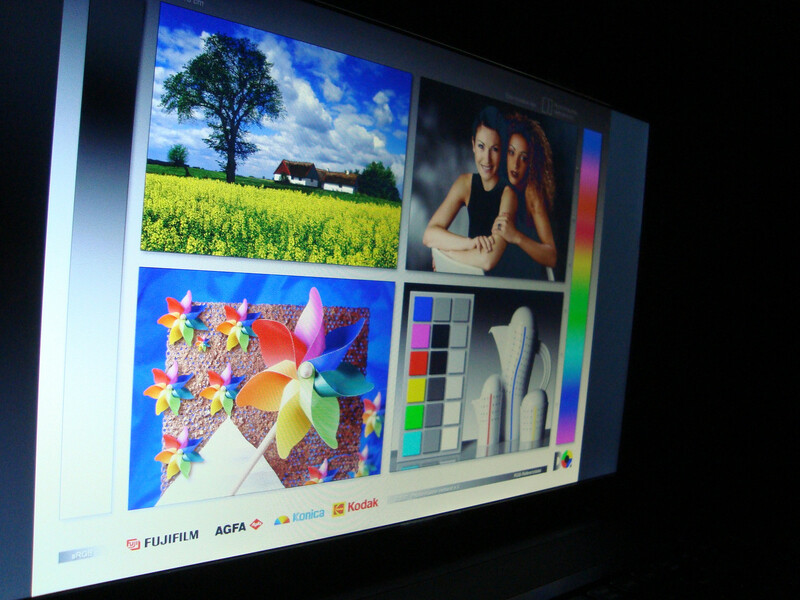 Thanks to the glossy screen colors look rich and shiny, when playing games or watching DVDs. Two hinges hold the 15.6 inch display in place. These offer enough stability, yet they are not perfectly tight: they allow luffing. Opening and closing the lid is easy and causes no unpleasant sounds. The lock which secures the display in closed position can be opened easily, too. Compared to similar laptops the brightness turns out to be lower mid-range. The highest measured brightness was 187 cd/m² in the top left corner, and the lowest was 170 cd/m² in the top right. 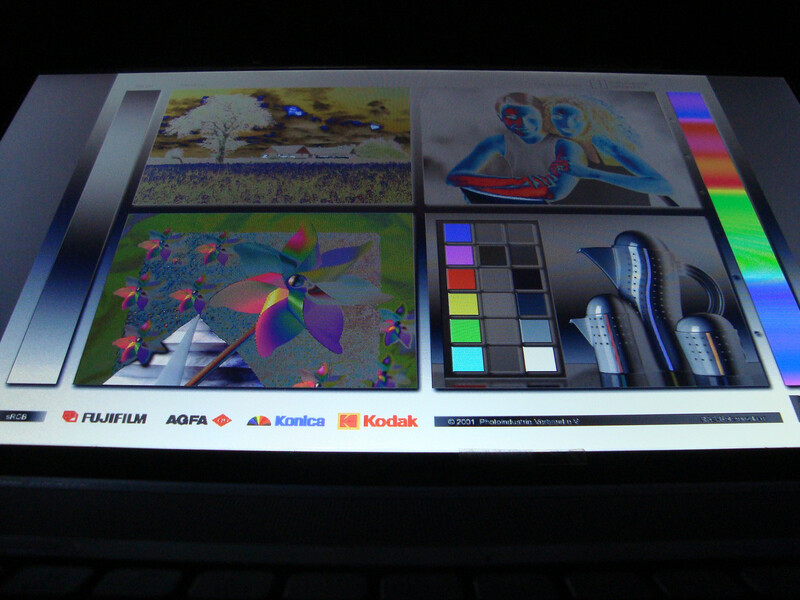 Looking at the measurments for the other parts of the screen, this means that the screen's illumination level is balanced at 91 %. Given the highly reflective CineCrytstal Display and the rather poor average brightness level outdoor use can be quite frustrating with the 5740G, at least during the day. 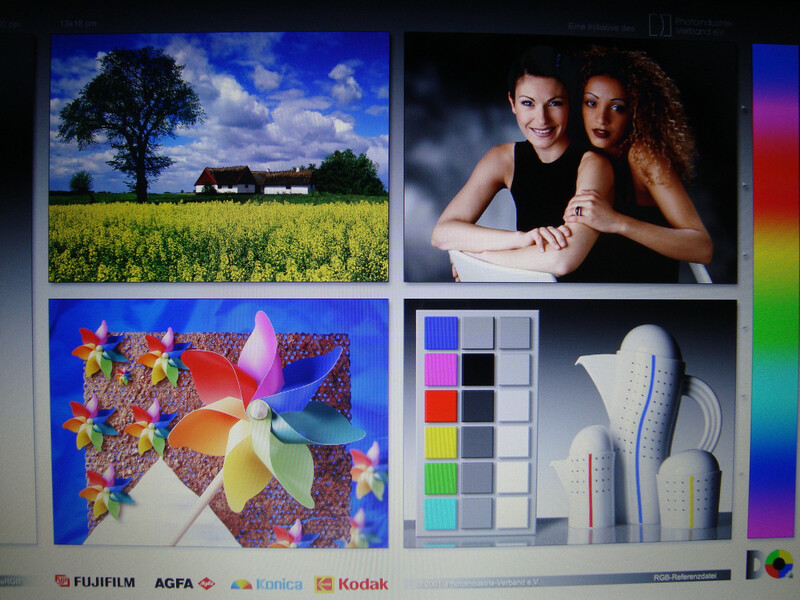 As is true of all glossy display, reflections are a common. Even at maximum brightness in the shade, this is very annoying and stressful for the eyes. The Vertical viewing angles are not among the best, too. If you open the lid a little further than usual, dark spots will appear. Horizontal viewing angles, however, have a little more leeway. Even at bad angles, the content of the screen was well recognisable. 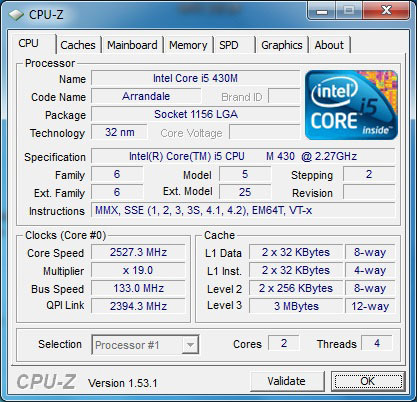 Our sample came equipped with a Core i5 430M processor (3MB shared L3 Cache, 2.26 GHz). The integrated Turbo Boost Feature can automatically overlock the cores under load up to 2,53 Ghz while at the same time deactivating the cores that are not needed. The graphics adapter is a Mobility Radeon HD 5470 von ATI with 512 MB of GDDR3 RAM. The GPU is the successor of the Mobility Radeon HD 4570 with a higher clock speed and added DirectX 11 support. The entry-level to mid-range graphics adapter is capable of handling recent games. Sometimes settings have to be adjusted for the games to run smoothly. But before we get to the gaming part, let us first look at benchmarks allowing a preliminary evaluation of the gpu's performance. The somewhat outdated Futuremark benchmarks 3DMark2001, 3DMark03 and 3DMark05 were employed again and yielded 23077, 10045 and 6892 points respectively for the Aspire 5740G. In comparison the 5470's predecessor reached 16656, 9408 and 6755 points. What is more interesting are the 3DMark06 and the 3DMark Vantage benchmarks. The 3DMark06 benchmark was done using a resolution of 1280x1024. The Acer achieved 3761 points, of which 2611 are accounted for by the gpu. 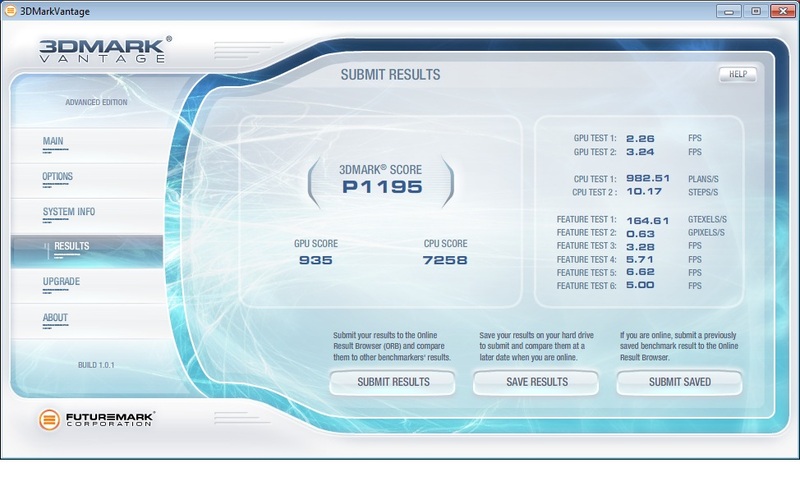 3DMark Vantage yielded a total of 1195 points. For comparison: the Mobility Radeon HD 4570 reached 3475 points in the 3DMark06 benchmark and 1082 in the 3DMark Vantage benchmark. Due to compatibility problems with Windows 7 we were unable to perform the popular PCMar05. This means we will have to do with the PCMark Vantage benchmark. The test sample reached a total score of 5537 points. Another part of the test setup is the well-tried Cinebench R10. Single-Core rendering produced 3412 points. Multi-Core rendering, however, brought a respectable 7847 points. Cinebench R10 awarded 4319 points for the shading capabilities. 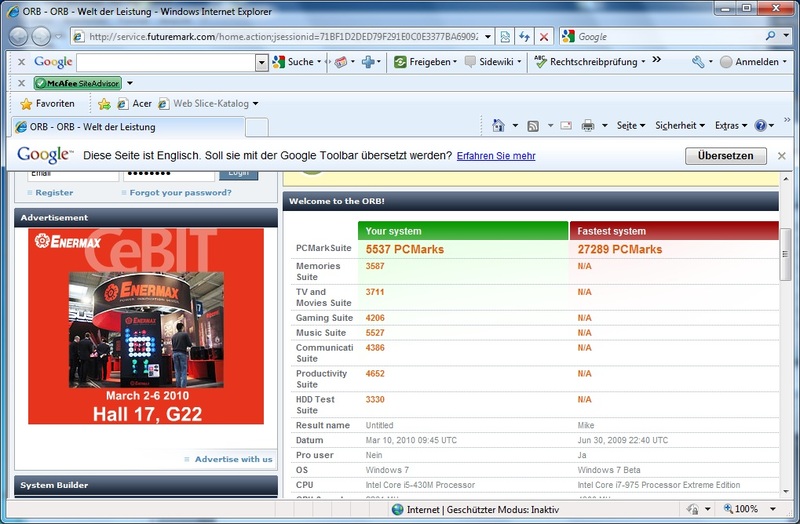 Windows 7 has its own benchmark system, too. 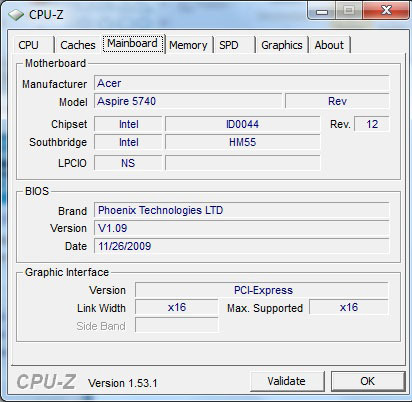 The Asprie 5740G got a score of 5.1 in the performance index. According to Windows, this is caused by the rather poor graphics perfromance for Windows Aero. These numbers are all well and fine, but they don't guarantee for good performance in everyday use or games. 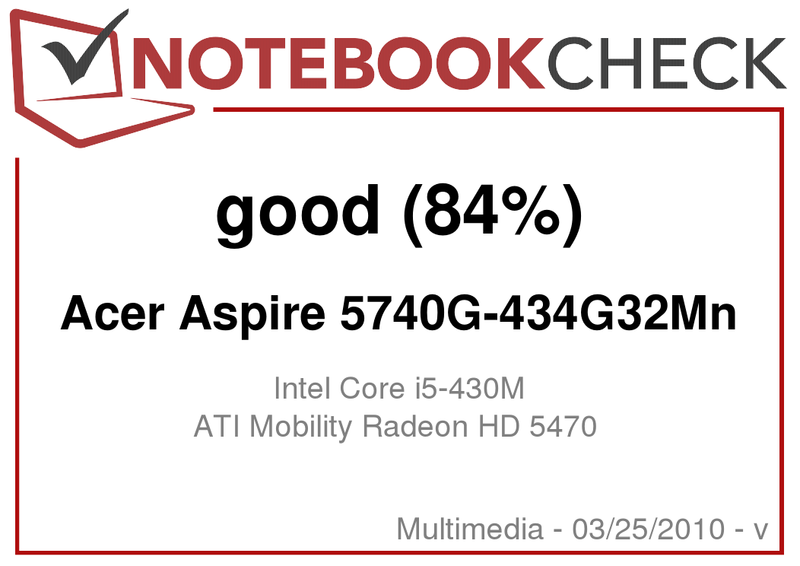 How the Aspire 5740G fares here, we will see in the next part of the review where we deal with various games. Even though the Aspire 5740 is no full-blown gaming laptop, the possibility for gaming might sway some buyers in its direction. During breaks, for example, some people like to relax with a game or two. Many people like to at least have this option should they be so inclined at some point in time. We conducted our tests using various games ranging from more dated to more recent releases. Either we used the benchmark options provided by the game itself or we used Fraps. The dark shoot-em-up is our first entry. 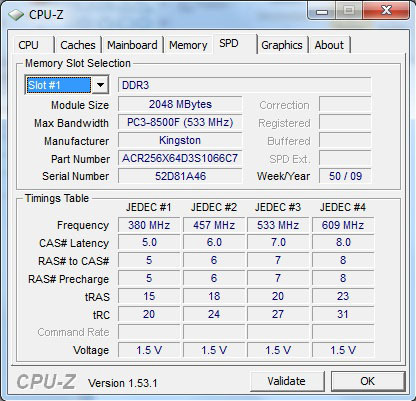 Its minimum settings require a desktop version of the nVidia 6800 or an ATI x700. The integrated Mobility Radeon HD 5470 has no problem topping these. Thus it delivers a - very good - average of 114 fps at minimum settings (600x600, everything set to low). However, once you turn up the settings to medium (1024x768, everything set to medium, 2xAA), the impression changes somewhat. The average fps drops drastically to 34.9. Playing the game is still well possible and looks much better than on low settings. On high settings we measured only 23.4 fps. We took one turn playing the BMW team Germany. On minimum settings, this is very nice with an average of 75.8 fps. Raising the level to medium (1024x768, everything set to medium, all effects turned on) settings yielded an acceptable 34.6 fps. High settings (1280x800, 2xMSAA, everything set to high) resulted in a quite poor average of 17.2 fps. We crashed our beautiful car three times before we managed to finally finish the lap in our fourth attempt. The real time strategy game World in Conflict remained above the limit of 30 fps only on medium settings. That means DirectX 9.0, 1024x768, no AA and no AF. At an average of 37 fps, however, the game is very enjoyable. High settings (1024x768, 2xAA, 2x AF), employing DirectX 10, lead to a somewhat lacklustre 18 fps. The notoriously hardware hungry Crysis brings even the Aspire 5740G to its knees. The in-game benchmark was done at 1024x768. Decent fps (61.7 fps cpu, 49.6 fps gpu) were only reached on minimum settings. Medium settings resulted in about 24 fps and high settings allowed only for a stuttering 10 fps. The new racing game Dirt 2 didn't work together with the Aspire 5740G all too well. Even on minimum settings it achieves only 22.7 fps on average. Raising the level of details and the resolution naturally worsened the problem. Accordingly we only measured 18.8 fps on medium and 12.7 fps on high settings. 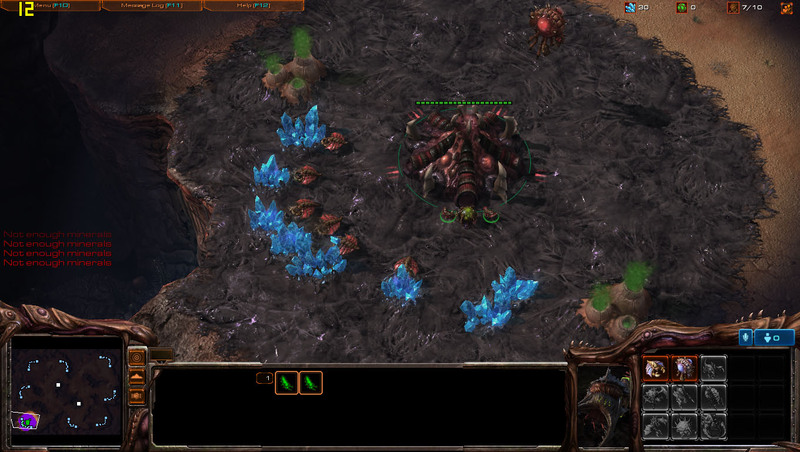 A very interesting game to have an eye on in the coming months is Starcraft 2 by Blizzard. 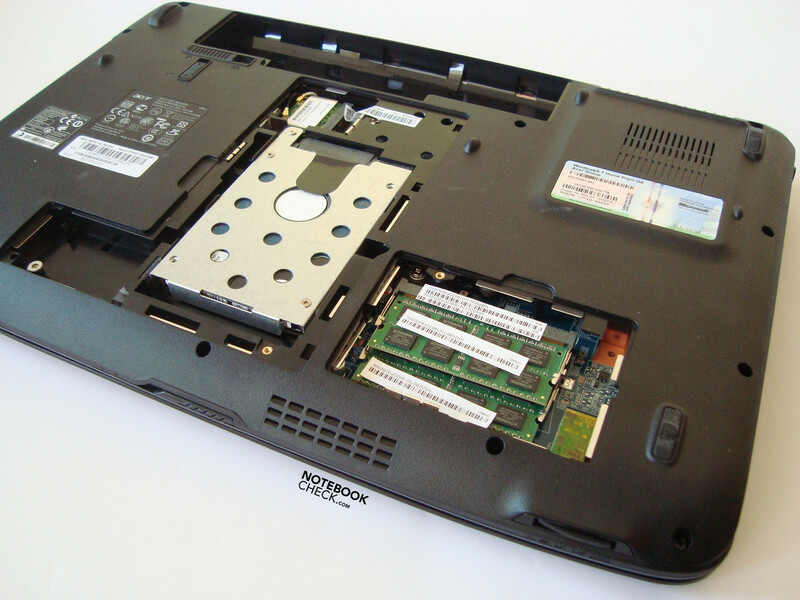 We wanted to see how well the Aspire 5740G and its Mobility Radeon HD 5470 can deal with it. So we installed and tested the beta version. The results are very similar to those of the above test. 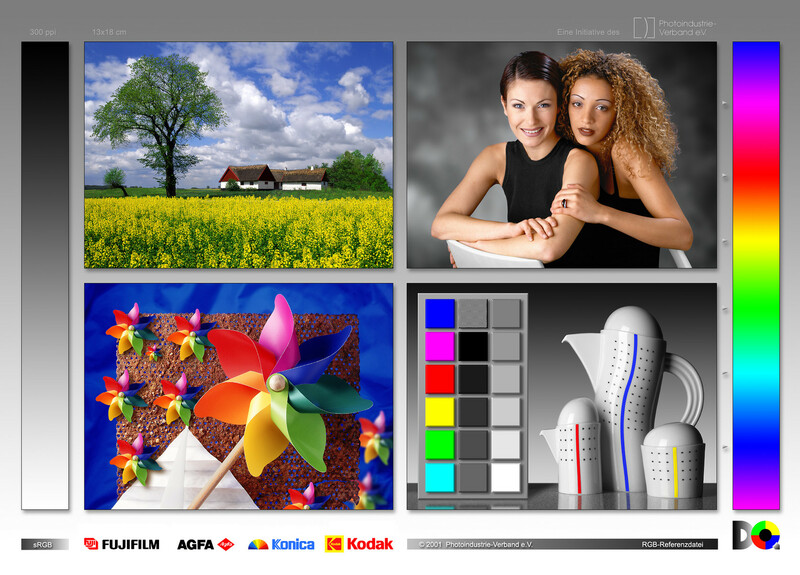 However, we now used the native resolution of 1366x768 in these. The only thing we changed is the level of details. We started the beta quite enthusiastically, i.e, on ultra settings. 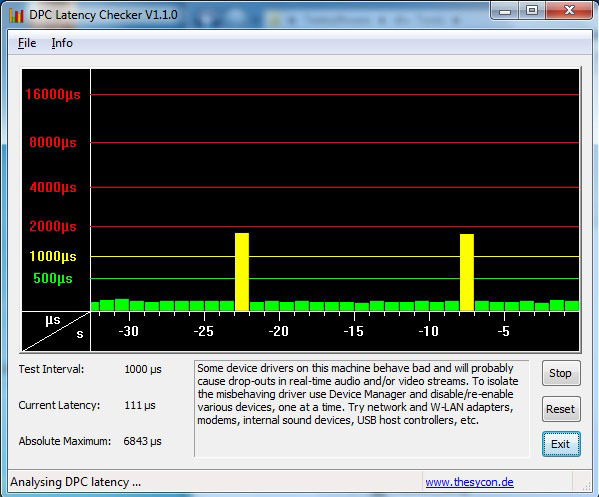 The resulting 11.4 fps are not enough to keep up with the speed on Battlenet. Set to high, this was no longer a problem. At 26.4 fps the game ran somewhat smoothly. Still, only medium settings let the game run totally smoothly. So what is true of the other benchmarks, is valid here, too: the Aspire 5740G is indeed capable of handling more demanding games, if you adjust the resolution or the level of details. 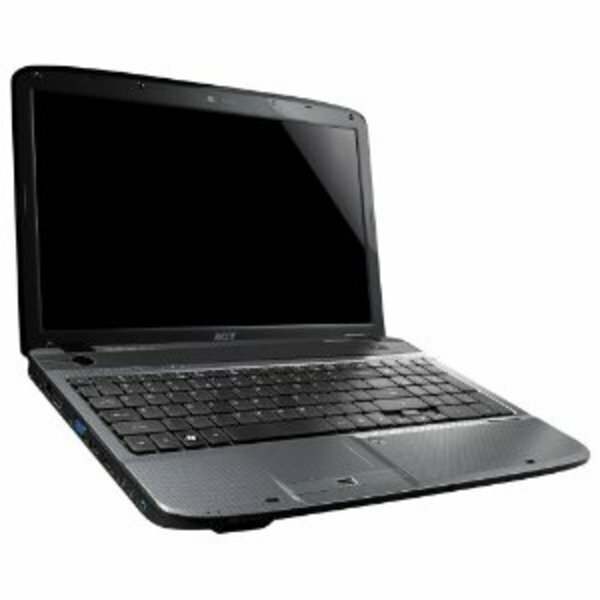 Let us now look at other relevant aspects of the laptop which might, or might not, make you decide on the Aspire 5740G, the emissions. After all, no one wants to have a laptop that is as loud as a plane in his living room. This, however, is not the case with the Acer model. In idle mode it is hardly noticeable at 31.9 dB(A). Even under load the values are well within bounds. 33.6 dB(A) were reached on average. From time to time the speed of the fan changed and we measured a maximum of 39.4 dB(A). But even this is tolerable, as the fan makes a constant noise at a frequency which is not annoying. Concerning heat the Aspire 5740G is positively unspectacular. Temperature in idle mode and under load hardly differ, as you can tell by the graphs. The only difference worth mentioning is the measured 40.4°under load compared to 36 degrees Celsius without load. At 23 degrees room temperature the upper left corner at the bottom was the only part to surpass 40 degrees Celsius. Given the quiet noise level of the fan, the temperatures are indeed very good. The measured values stay in the comfortable zone. Hence, working with the laptop on your lap is no problem. The a/c adapter reached an acceptable 50 degres Celsius in our tests. The sound coming from the internal speakers is not the best, especially the bass is quite thin. This is no deviation from other laptops at the same price level. Only much more expensive laptops will offer more in this department. Tough a little tinny, the sound is quite clean as long as you to not turn the speakers up to much. At maximum volume distortions caused by vibrations of the case get audible and spoil the listening experience. 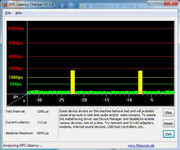 The easiest way to avoid this problem is to hook up the Apire 5740 G to your home stereo. Alternatively, you could use high quality headphones, especially on the move. 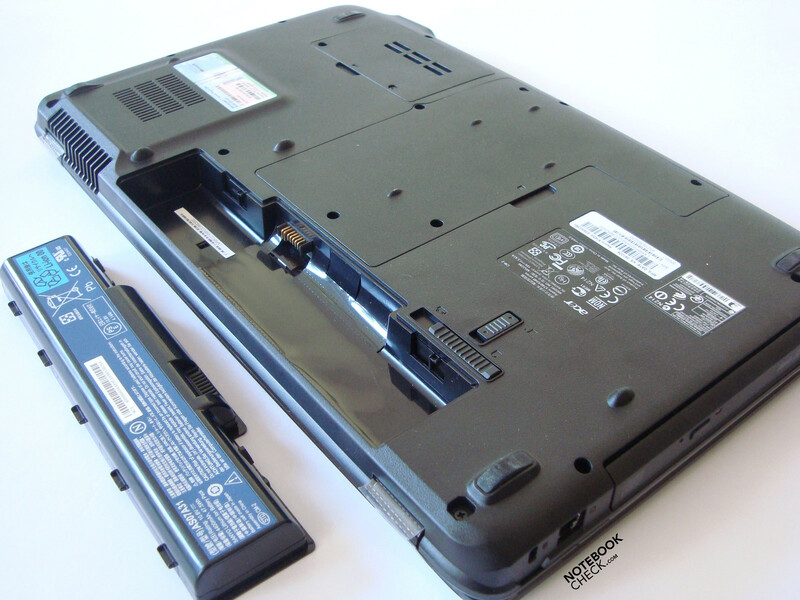 The Aspire 5740G is powered by a Li-Ion battery. With a capacity of 4400 mAh (47.5 Wh, 10.8 Volt), the battery life was quite good, at least when working with office applications, browsing the Internet via WLAN or watching a DVD. Under load it's quite different. After a meagre 57 minutes in the Battery Eater Classic benchmark, the battery had to be charged. Energy options and display brightness were set to maximum. The wireless mdoule was enabled. The Reader's benchmark of the Battery Eater program yielded better results. With wireless turned off, energy saving on and brightness set to minimum the aspire 5740G lasted a good 225 minutes, three hours and 45 minutes. This battery run-time is on the good side. Surfing wirelessly was possible for two hours and 55 minutes on battery. Wireless turned off, playing back a DVD gave us three hours and six minutes. Thus, you should be able two watch two movies of about 90 minutes in a row without recharging. Dimming the brightness might just help you squeeze out another minute or two. To summarize: The Aspire 5740G comes equipped with a state of the art Core i5 430M CPU, which sports the patented Turbo Boost Feature. 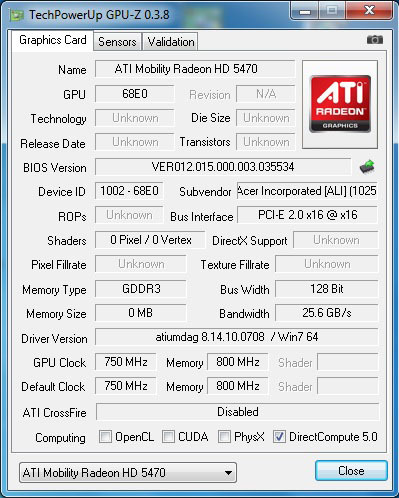 Next there is the Mobility Radeon HD 5470, an entry-level graphics adapter capable of handling more demanding games, if, of course, details and settings are adjusted. 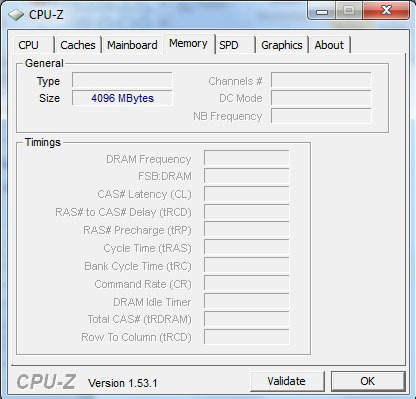 Four GB of DDR3 Ram, which can be upgraded to a mximum of eight GB, are part of the standard setup. The hard drive is a SATA drive with 320 GB by Hitachi (HTS545032B9A) that runs at 5400 rpm. Additionally, many ports found their way onto the laptop. On top of the four standard USB 2.0 ports, an Ethernet port, a VGA port and optional Bluethooth 2.1 or a BluRay drive, there is an HDMI port, to mention a few. The performance offered by this setup well holds its own. For everyday use, but also as a multimedia machine, there is power aplenty. 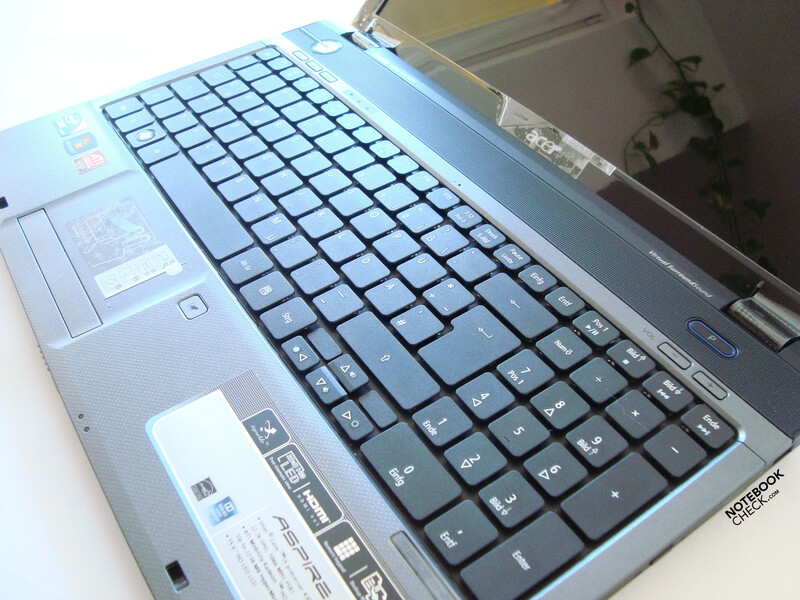 Only when used for gaming, the Aspire 5740G is thwarted by the somewhat weak Mobility Radeon HD 5470. 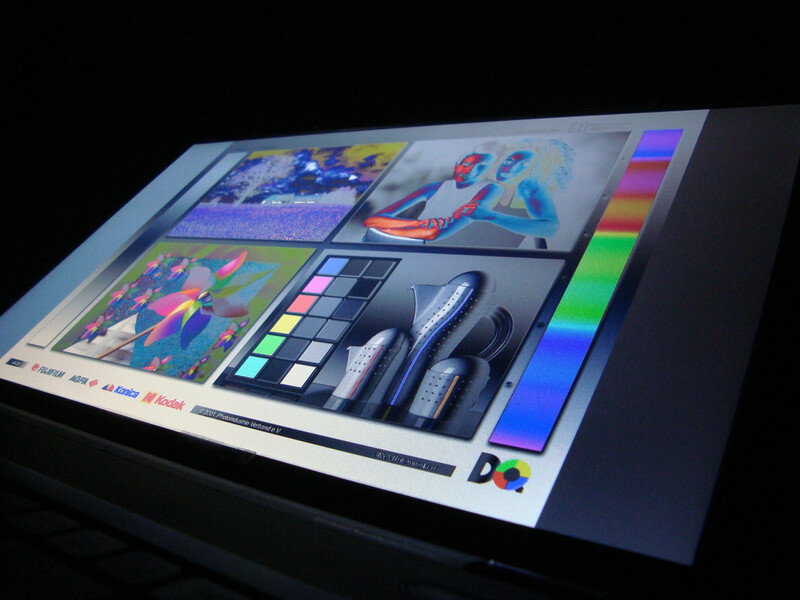 What makes the laptop stand out from the crowd, is definitely its multi-gesture touchpad. This, however, is more of a gimmick and offers no real everyday use and will not appeal to everyone. The keyboard convinced us, too, be it optically or functionally. 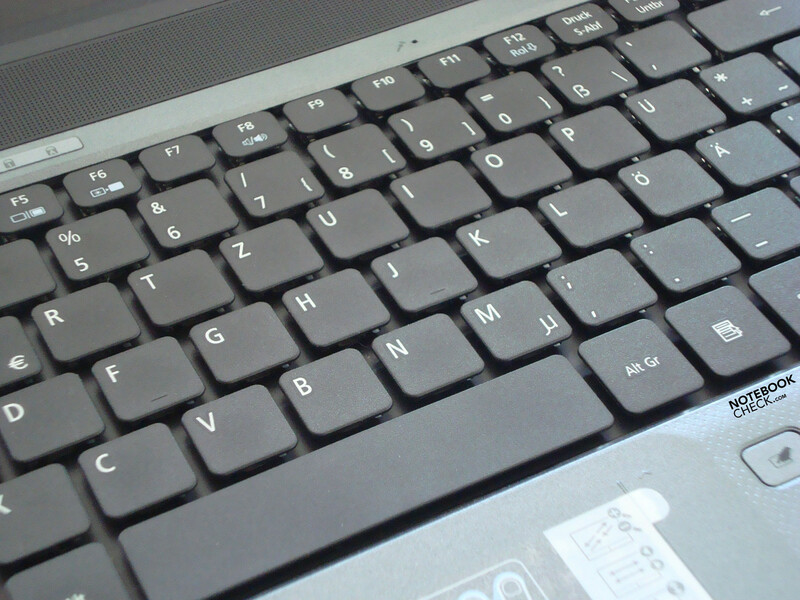 Only the spacing of the keys is not so good as it allows dust and dirt to get underneath the keyboard easily. What did not convince us too much are the internal speakers which only managed to produce good sound at medium volumes. At maximum volume there were some disturbing noises. Especially with bass heavy songs, the speakers disappointed with their muddy sound: lyrics became hard to understand. As mentioned earlier, this is not that much of a problem. Either you hook up the laptop to your home stereo system or you use headphones. The distribution of the ports is not ideal for lefties. Apart from these weaknesses, the Aspire 5740G is a good multi-purpose laptop with many strengths and a few disadvantages at a fair price. According to Amazon, the reviewed model of the Aspire 5740G, is available for about 600 Euros. 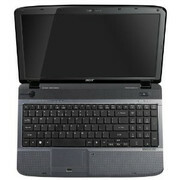 The warranty is two years including one year of what Acer calls International Travellers Warranty. Acer extends its successful Aspire lineup with the 5740G series. A Core i5 430M CPU by Intel and a Mobility Radeon HD 5470 are under the hood of the 15,6 inch Laptop. DPC Latencies don't disappoint on the 5740G. The user has to remove two plates at the bottom. 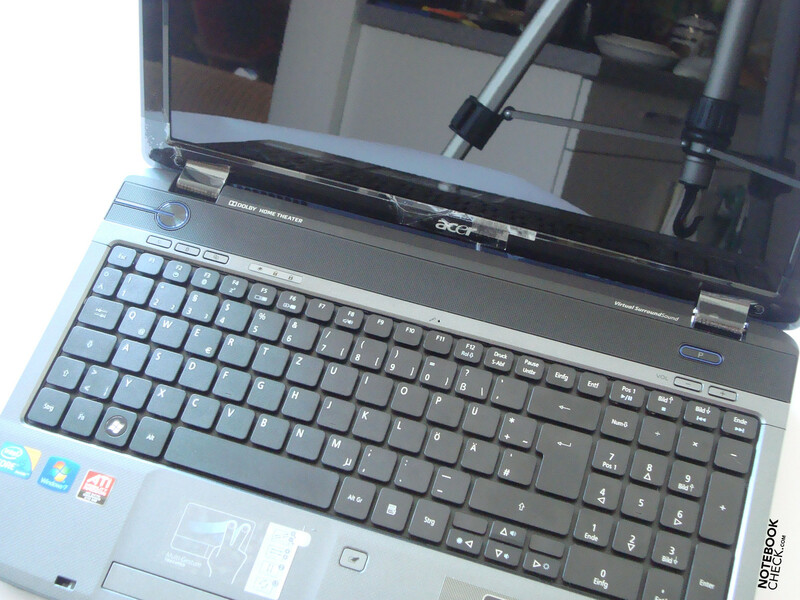 Crystal Eye Webcam and Array microphone. 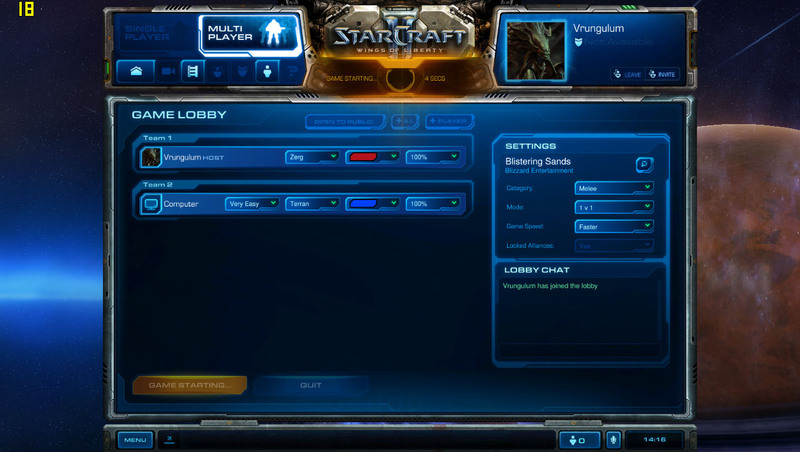 Startcraft 2 is playable on medium and high settings. The performance couldn't keep up with the 'ultra' setting, though. 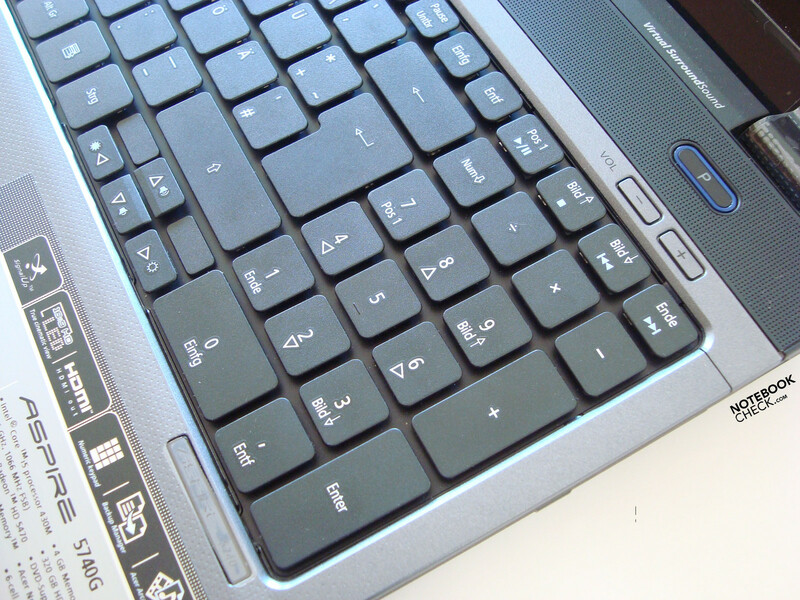 The user can choose what to associate with the button above the keyboard. 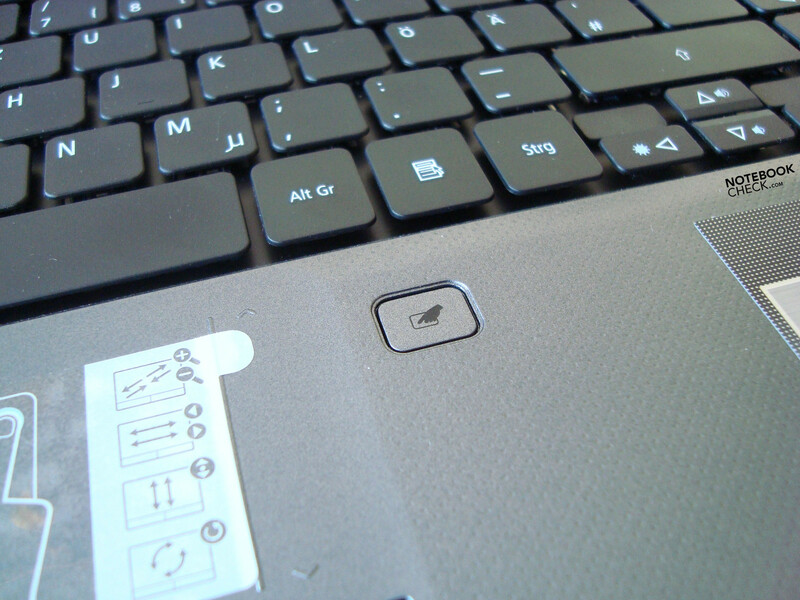 The touchpad can be deactivated by pressing a single button. 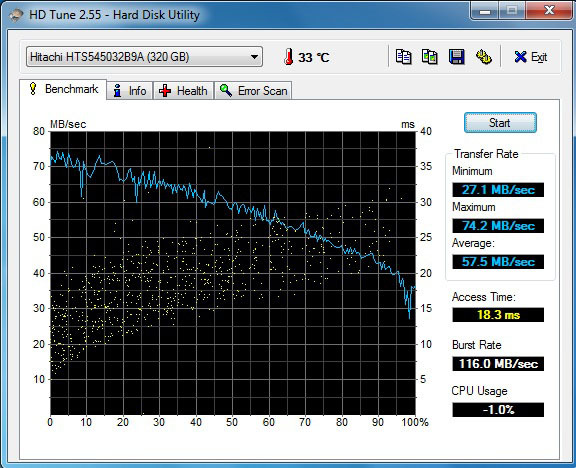 Our test sample: the Aspire 5740G-434G32Mn with 320 GB HDD and four GB of RAM. 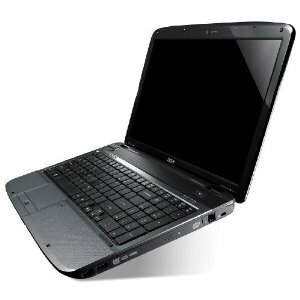 Another model of the 5740 family: the Aspire 5740G-436G50Mn with six GB DDR3 RAM and a 500 GB HDD. 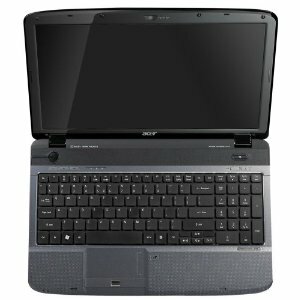 Or the Aspire 5740G-436G50Mn with an additional Bluetooth 2.1 module. 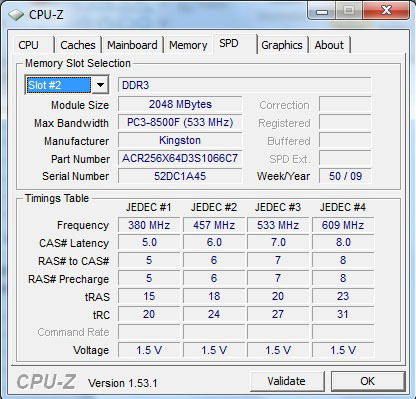 The 5740DG-434G64Mn is a part of 5740 family, too, to be precise: the Aspire 5740D 3D Series. ...or maybe because the spacing between the keys is quite big. The Aspire comes with a full keypad. 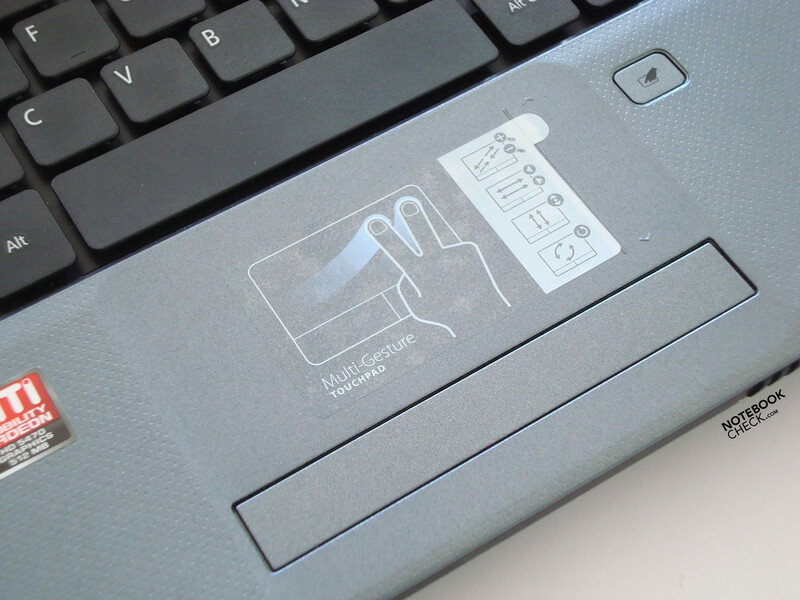 A multi gesture touchpad is a rare sight, especially in the price segment the 5740G is in. The keyboard, especially in combination with the multi-gesture touchpad, even though the latter seems to lack any real practical use. A better distribution of ports. All important ports are on the left side. Acer actually comes forward with 3D technology with the 5740G model. Time will tell, if this is here to stay. 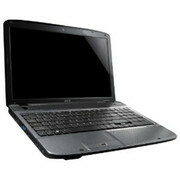 The Aspire 5740G has many competitors in the crowded laptop market: the Asus K52JR-SX059V for example. 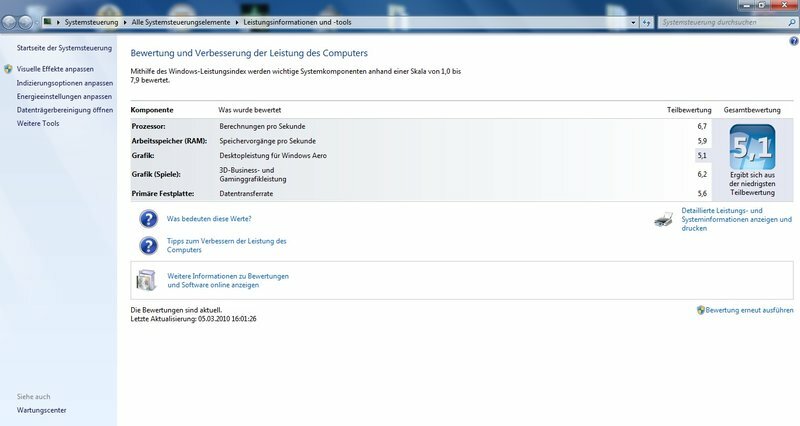 It comes with the same GPU, but the processor is an i3. Or there is the Fire DTX von DevilTech with the much more powerful HD5650.